I love living in a city with defined seasons. Melbourne does it well with a full display of colour in Autumn and beautiful Icy winters. The air changes from one season to the next, affecting our moods and lifestyle. As the leaves turn to gold and red we need to start thinking about how we’ll layer for the coming winter. We’re no London or snowy New York but there is still a need to rug up, don a coat and spend weekends relaxing by fires. 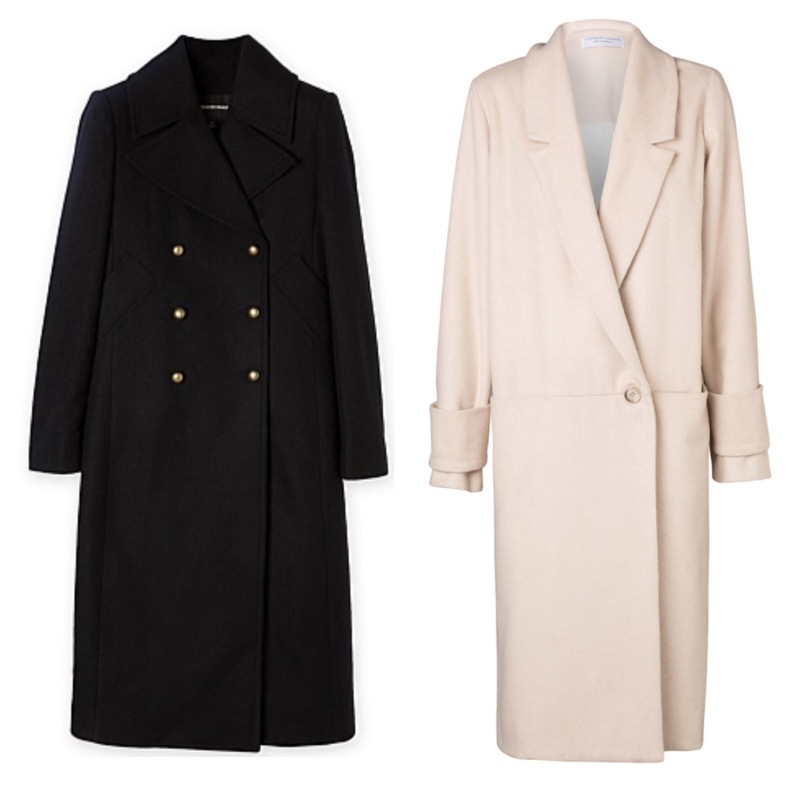 This seasons Coats for women range from waterfall wraps to long and over sized with the trench holding it’s place as a wardrobe staple. I love the colours showing this season from soft pinks to rich tans and teal and of course classic navy. There is a lot of felted wool coming through adding to the unstructured feel and making them super snugly. An important tip for buying the right coat, especially when the overall style is unstructured, is to make sure it fits you well in the shoulder. The shoulder seam should sit at the edge of your shoulder bone. Too narrow and it will look to small and your arm will look larger and rounded. Too wide and your neck and shoulder will appear to slope. It’s all about a sharp angle where the shoulder is concerned. If you do have a shoulder the drops away from you neck consider popping in a slim shoulder pad. 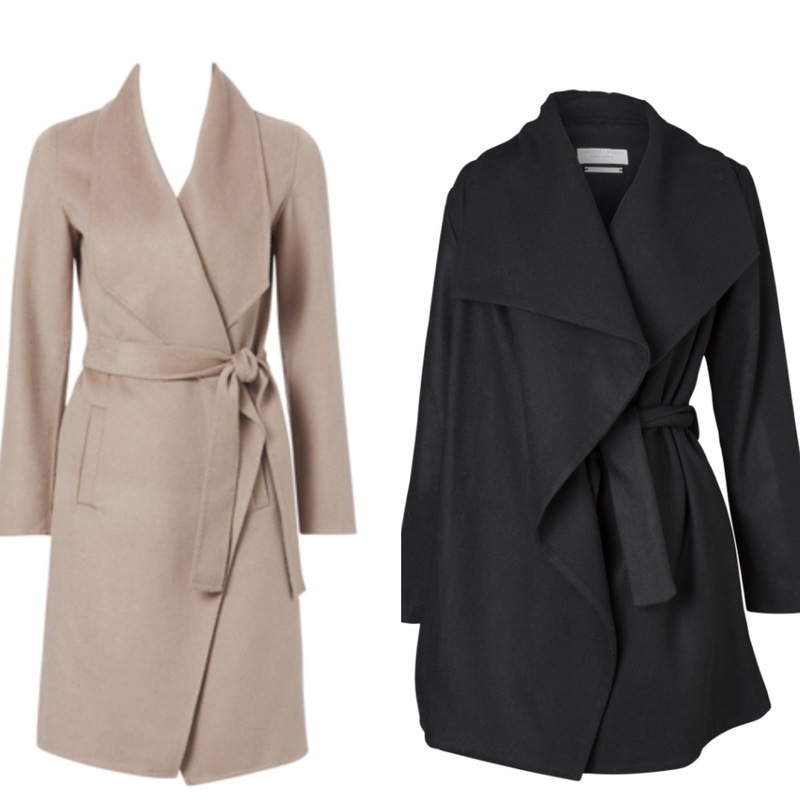 The wrap coat is a great option for those that want their coat to mix work with pleasure. Tightly cinched at the waist gives a classic pulled together look for the office. Try swapping the tie belt with a simple leather one for an individualised, look. Then on weekends, loose the belt all together and casually throw it over jeans and roll neck knit. These are a few of my top coat picks for AW 2016 . Click on the captions to head straight to the On line Stores.